Some newspaper hawkers are trying to ride on the booming e-commerce business to develop a new source of income. I attended primary school in the 1990s. Usually over the weekend, without the burden of homework, I had a fun time reading the papers that my parents bought from the newspaper stall outside the neighbourhood’s wet market. The newspaper was my window to the outside world. Not anymore. The last time I bought a newspaper was in 2009, when I took a news writing course. Today, I know what is going on around the world with just a click of the mouse on the internet. While today’s traditional media are striving to go digital, with varying degrees of success, this does not seem to be an option for the thousands of newspaper stalls in Hong Kong. With the business declining and hardly any new blood joining, these stalls will possibly disappear in between the city’s skyscrapers in the years ahead, unless measures are taken to revitalise this sunset business. It is thus heartening to learn that some newspaper hawkers are now trying to ride on the booming e-commerce business to develop a new source of income. Several community-based newspaper stalls have partnered with a local delivery service company to provide pick-up services for online shoppers. The Hong Kong Newspaper Hawker Association, too, is trying to diversify the business, and is exploring aggregating links to the websites of what it calls grass-roots business members on its own websites. The idea is to let the small businesses promote their product using the citywide network of newspaper stalls. 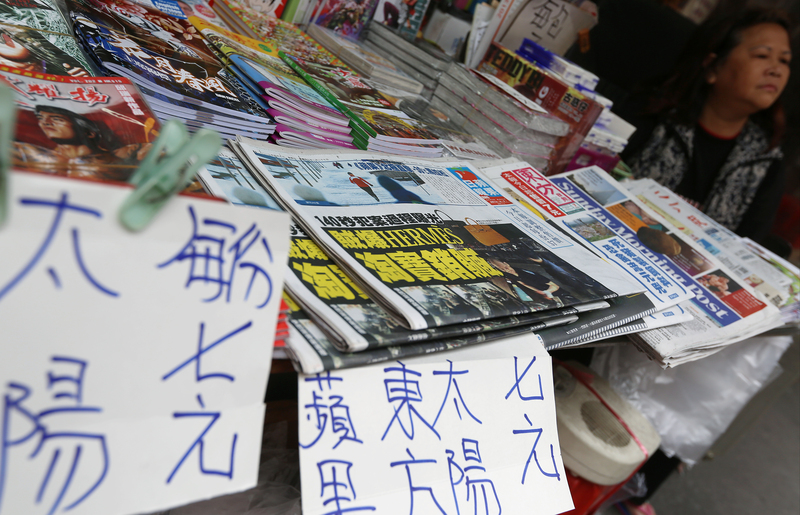 Some newspaper hawkers are also adjusting their product portfolio, as they are selling to mainland tourists more Chinese publications that are not available on the mainland because of their political sensitivity. It is still too early to tell whether these adaptation methods will succeed. But some policy support will help. Now that the government has wheeled out its plan to introduce food trucks in part to boost tourism, perhaps it should consider marking on the map the location of the proposed trucks, based on the network of newspaper stalls. In this way, tourists can enjoy specialty food and conveniently buy something special from the newspaper hawkers, including some locally designed souvenirs and product. This is one of many ways to revitalise the traditional business and prevent it from dying. The newspaper stall may no longer be the window to the world for me, but it can become a window of other sorts, for instance, the window for local start-ups to grow their business, and also for visitors to take home something special.